Officially, owning a satellite dish in Iran is illegal but despite the occasional raid, the government seems to be quite tolerant to it. Though, I must admit I was surprised when ? 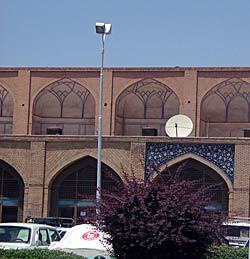 even at Imam Square (Naghsh-i Jahan Square), in the center of Esfahan – a dish was sitting there in plain view. I thought the owners were expected to be discrete and mount them on the roofs – out of view from the streets. 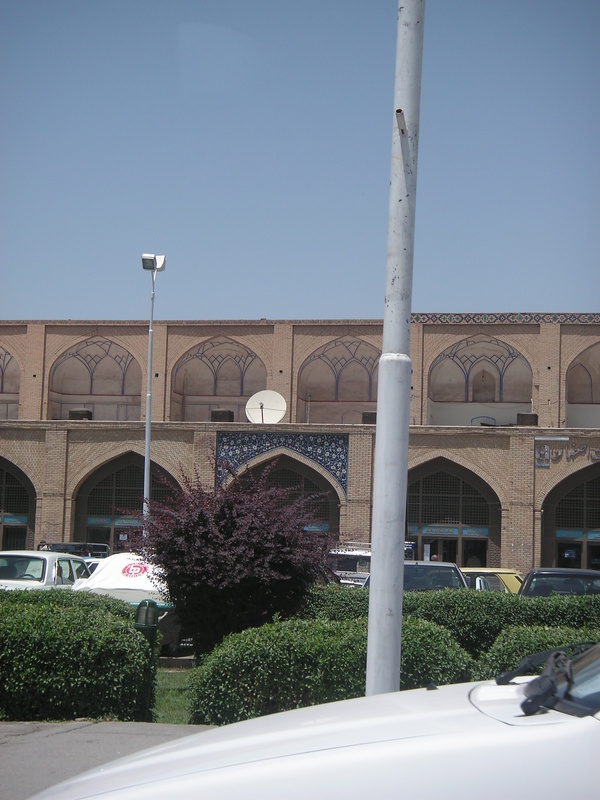 One thing people often ask is if Iranian?s have access to foreign television, and if so what channels they can receive. The short answer is that access is greater in Iran than anywhere else I?ve ever been! An Iranian friend showed me that he had 1,106 channels in his home! All European and American channels you can think of ? I guess it?s mostly a matter of people being able to understand the foreign languages. PS. On this day I also express my sincere condolences to the people of Iran for the terrible loss in the World Cup. I?m so sorry, guys. EDIT (19th of June): Bigger image, with more of the surroundings, here.